Want to enjoy real high quality virtual reality? Check out this amazing oculus rift. BE THERE, BE THE ASTRONAUT, BE THE OLYMPIAN, THE SPACE MARINE, FLY OVER MARS, TOUR A HOUSE YET UNDER CONSTRUCTION and the list never ends. MARCH 28, 2016, OCULUS VR: a division of Facebook inc. released a virtual reality headset namely “THE OCULUS RIFT”. Since, the KICKSTARTER Campaign of 2012, the rift has gone through various pre-production models. 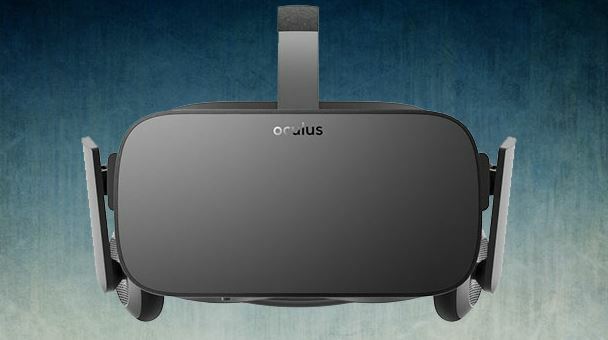 It has been stated by oculus, that the rift is primarily and eventually going to be a gaming device. Oculus rift is the product that is being developed for a very time now, first industry product that is set up and will set a bar shortly after HTC vibe. Oculus has some excellent designer care while talking of rift. All parts of it come in a black carrying case with a magnetic top. Though comes in with a great texture, keeps us a little unsure of the durability. The hardware look better instead, rift doesn’t look like a gaming device or any old movie craft; it looks classy like a face mask. The most essential part of it is the headset. A headset that has two tiny screens that project two very different images so you see the virtual world much closer to how you see the real world with your two eyes and you need two screens. But, there is also a tracking camera. The person expects one control that it will use for the most of the game. The last thing is a little remote that you can use for simple games or for controlling videos. Oculus has its own app with a game catalogue which you can use either inside or outside VR. All it takes is a special helmet and gloves to go out and you’re off. It offers itself to you as a piece of technology that feels like something out of Science Fiction. They also have the tangible headphones because they figured that probably some segmented people that will not bring around headphones and would say that the fact they are detachable means that they are thinking about the consumer because they want you to use what you feel comfortable with. It has two screens in it and those screens are right up next to your eyes and so your eyes being at two different places on your face when you look out into the real world you seeing two 2D images that you brain interprets in a manner that makes them 3D for you. The 2 screens of the oculus rift on really any VR headset essentially mimic this to get two 2d images they both have a slightly different perspective that makes you feel though you are in the actual game world. Its true 3d to accommodate its movement through sensors are in the surface of the visor and they track by scanner so when you move your head the perspective shifts on both the screens. On top of that, most games will make it so that your character actually moves there head as well. 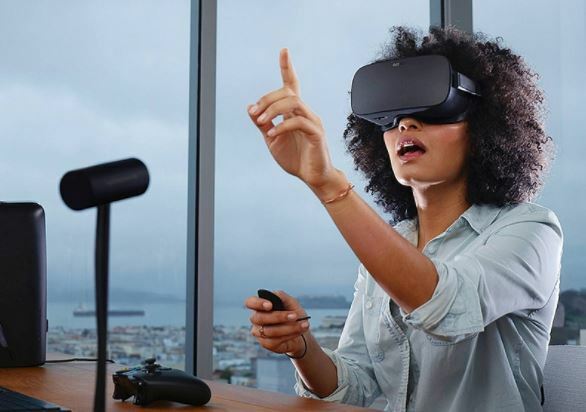 The oculus rift can basically be used with any gaming control system, whether it is a mouse or keyboard, or traditional gaming controller or special control developed for it called the touch. Touch itself is made to better assimilate what you hands might be doing in the virtual world. NVIDIA GeForce GTX 960/ AMD RADEON RX 470 OR GREATER INTEL CORE i3-6100 OR AMD FX4350 OR Greater. Some computer companies have actually set up oculus ready computers for you to buy just in case you are really the building type. It would require an 8GB+ RAM COMPATIBLE HDMI 1.3 VIDEO OUTPUTS2x USB 3.0 PORTS WINDOWS 7 SP1 or newer. Currently, it’s mainly in the games. A good resource to find the games to plan on your oculus is Wikipedia. There is actually a list of games with oculus rift support there and it is pretty comprehensive. Now even though there is definitely more games then we can sit here and list. But, eventually the list is a little short reason being there is a lot of money involved in planning and preparing such mechanism. So a lot of publishers are probably going to wait and see for the approach with the oculus rift and VR in general. 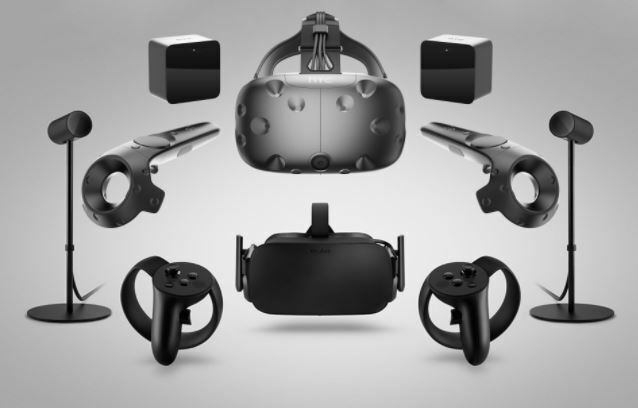 The three flagship VR competitors are the Oculus Rift, The HTC Vive and The Play station VR. Set Up: Oculus has so far the easiest set up that takes less than five minutes. Head Mounted Display: the oculus yet again has a comfort level nearly perfect to achieve a high end experience. The Touch Controllers: with a spot on tracking, the touch controllers are light, sleek. It works best in the Void Experience. Overall, summarising it, the Rift has so far the best Hardware possible. In terms of Gaming, Vive comes in with biggest library, and for VR Playstation it gives less choices but most enjoyable games.